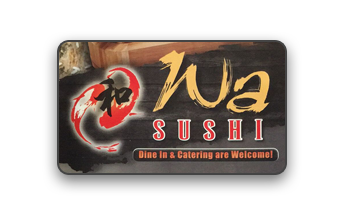 Online ordering menu for Wa Sushi and Thai. Welcome to Wa Sushi and Thai in Brooklyn, New York! We serve delicious such as Thai Basil, Hibachi Beef, Pork Katsu Don, and more! We're located east of Prospect Park Lake at the corner of Church Avenue and Bedford Avenue. We're near Kings Theatre. Order online for carryout or delivery!